Red Coral represents Base Chakra - physical identity & self-preservation. Woodstock Chakra Chimes combine color and sound to underscore the ancient meaning of the major energy centers of the human body. Eastern Philosophy can often be difficult for the Western scientific mind to assimilate and yet, many of the eastern claims are being proven scientifically as the time honored truths that they are. According to the traditions, there are seven basic chakras, which correlate to the seven main nerve ganglia emanating from the spinal column, as revealed through modern studies of physiology. Each Chakra location has a unique meaning, orientation and healing potential. The beautiful windcatcher of each of our Woodstock Chakra Chimes is a colorful stone associated with a particular Chakra. 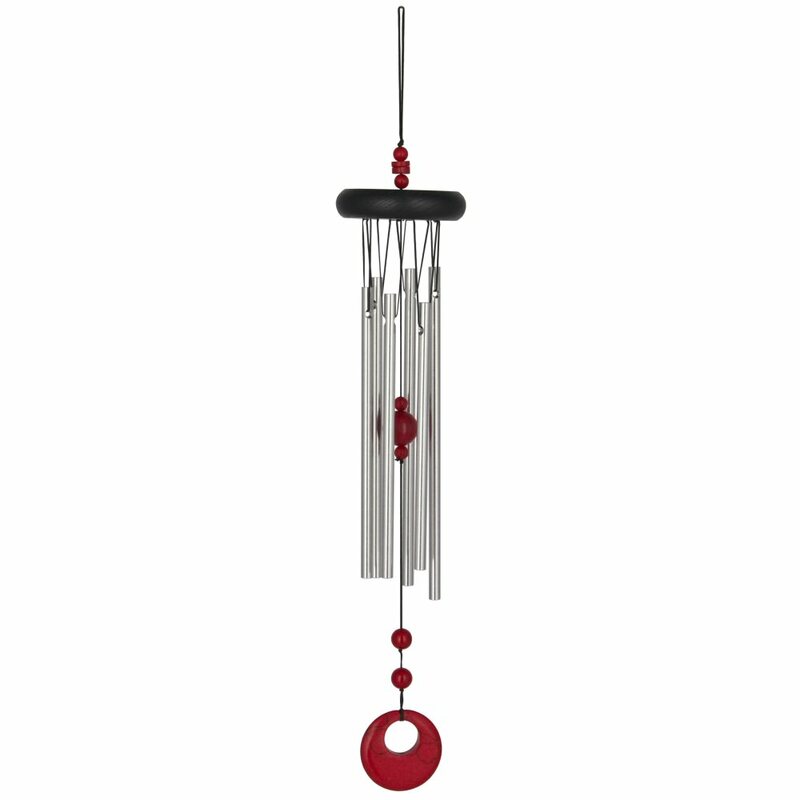 These wind chimes are intended to remind us of the strength of mind over matter and, through sound, give us a small window into the balance of the physical and metaphysical. •Black finish ash wood, 6 silver polished aluminum rods, stone accents.